Athletes will complete one 750 meter lap of Hawrelak Park Lake. The calm water is well marked and patrolled to ensure easy course navigation. Athletes will exit the lake and will proceed 200 meters to the elite transition area located directly in front of the grandstands. Spectators will have the opportunity to view the entire swim course in close proximity from the lakeshore. All bike roads will be closed to vehicular traffic. After mounting their bikes, athletes will follow the Hawrelak Park Road to the park exit where they make a gentle right hand turn onto Groat Road. 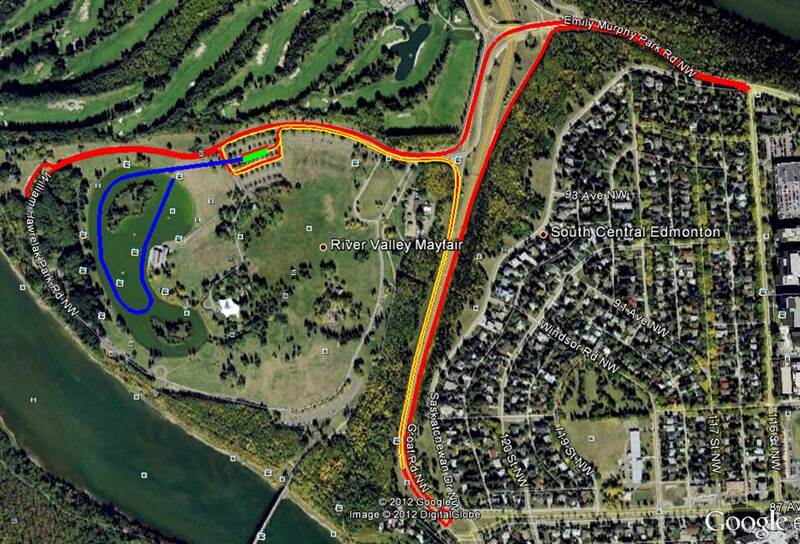 Athletes will climb approximately 800m to the traffic circle at 87th Ave (30m elevation gain). The athletes will not be following the circumference of the traffic circle but rather will immediately make two 90 degree turns to begin their descent along Groat Road. Athletes exit onto Emily Murphy Park Road and will climb a pack splitting 400 meters up the steep Emily Murphy Hill (30m elevation gain). At the top athletes will make a left-hand hairpin and make their way back to Hawrelak park, crossing over Groat Road towards the Hawrelak Park entrance. Once in the park, athletes will ride approximately 800 meters and enter a parking bay on the their right hand side from which they will make a wide 180° turn back onto Hawrelak Road. Athletes will pass in front of the grandstands, and exit the viewing area with a quick chicane and proceed along the same route out of the park. The athletes will complete four laps of this course. Athletes exit Hawrelak Park and proceed to ascend Groat Road, following the same road used for the bike course. Athletes will climb 600 meters (25m elevation gain) to the turnaround point. 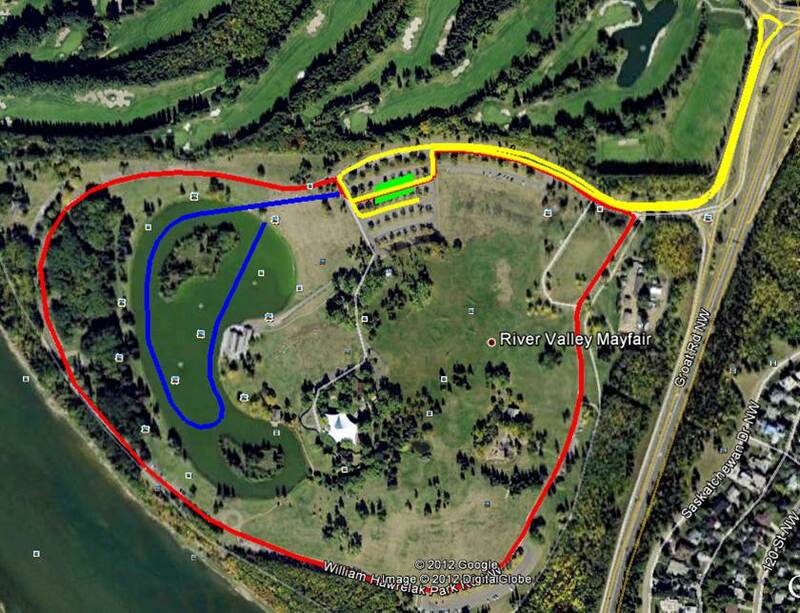 Athletes will then head back to Hawrelak Park along the same route and pass in front of the grandstands before heading out on their second lap of the course. Athletes will complete 2 laps of this course. When booking on line please ensure that you put your rental location as Leduc, Alberta, which is the Airport location.